For 125 years, while the Motor City grew up around it, and then slowly began to empty, the Log Cabin at Palmer Park stood sentry. On Sunday, for only the second time in 30 years, Detroiters from near and far were allowed inside to explore the city's only remaining log cabin, said to combine pastoral simplicity with all the modern amenities one of the city's power couples could buy in 1885. Senator Thomas Palmer dreamed up the log cabin for his wife, Lizzie -- a rustic hideaway on the farmland he kept as a destination from the hectic, growing city. He later donated the cabin, 140 acres of lush greenspace and a man-made lake to the city of Detroit in the 1890s. The city's grateful residents later dubbed it "Palmer Park." 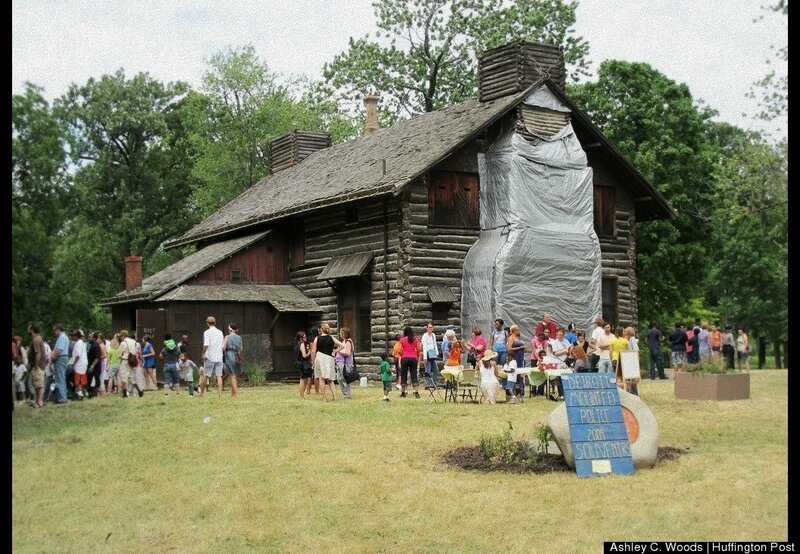 On Michigan's 26th Log Cabin Day, the group People for Palmer Park teamed up with the City of Detroit to once again open the cabin's doors, while raising money to restore the building's roof. Ultimately, they want to turn the 127-year-old cabin into a community center, a role it served during the 1960s before it was closed due to a lack of city funding. Detroit historian Amy Elliott Bragg has more on the log cabin here. Check it out yourself in the slideshow below. The Thomas W. Palmer Log Cabin was built in 1885 as a summer home for Sen. Thomas Palmer and his wife Lizzie Merrill Palmer.